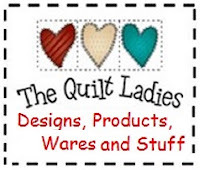 The Quilt Ladies: It's COLON Day ! I'm having my every 5 year colonscopy today. I hate it and I do it. But.....I'm having a sale TOO! at The Quilt Ladies Store !! And, as I know you will be thinking, "When did you decide to have this sale?" All I can say is "Don't ask ! " All is well, home and with 2 clear tests, I'll be seen in 10 years ! ! It will be over soon, it is no fun but important. Yes, oh yes, done and not forgotten, but I know my Dad is proud of me, he passed way to early from colon cancer and I going to see my grand babies have babies, I have a goal and I'm going to be health, happy and around for a VERY long time. EVERYONE do this for yourself, you'll hate it, but do it ! Just don't think and do it. New camera, Learning NEW again ! Change Life Up ? ? ! !